In my years as a psychologist, I have seen for myself that money is not enough to raise a healthy child. But I’ve also seen that love is not enough. At least not the generic, “I love you because you’re my child” kind of love. Beyond feeling loved, a child has to feel known. A child has to feel that her parents know her and love her for who she truly is: strengths and weaknesses, personality traits, preferences, foibles and quirks. She must feel that her parents see the real her and know the real her. That’s the only kind of love that feels true and genuine. It’s the only kind of love that produces a child with healthy self-esteem, a strong sense of identity, and resilient self-worth. • A man looks back on his childhood and can see his parents’ love for him in the fact that they provided him with a good home, nice clothes, plenty of food and a good education. 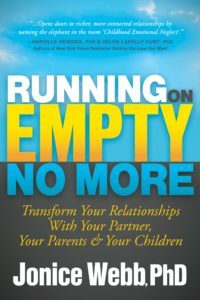 • A woman knows that her husband loves her because he has stayed married to her for 20 years and has never cheated. • A child knows that her parents love her because they buy her lots of toys and games and take good care of her. • A man looks back on his childhood and can feel his parents’ love for him in the memory of his parents taking turns comforting him every night for weeks after his beloved hamster died. • A woman feels that her husband loves her because he noticed that she seemed unhappy lately, and asked her about it with care and concern. • A child feels that her parents love her because they understand that the reason she got in trouble in school is because she was upset that her friends have been excluding her lately. Of course, there is no clear line between knowing and feeling. Most people look back on their childhoods and see some of both. The real question is did you feel it enough? Did you feel that your parents truly “got” you? Did they understand and know you for who you truly are? Do they now? If the answer is “perhaps not,” then you may still have received some positive things from your childhood. And it certainly helps if you at least had the knowing type of love from your parents. 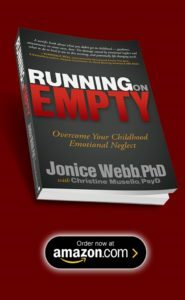 But without enough of the true, genuine kind of feeling love in your childhood (Childhood Emotional Neglect, or CEN), you may struggle in adulthood with self-doubt, self-discipline, self-blame or self-care somewhat more than other people. You may marry someone who, like your parents, does not have the ability to know the real you, and love you for the full and complete picture of who you really are. 1. Acknowledge that your parents were limited in what they could provide you. There is a reason for your struggles. It’s not your fault. 2. Make it your goal to get to know yourself. Pay attention to yourself in a way that you never have before. Notice your interests, passions, preferences, likes and dislikes, strengths and weaknesses. If you can, write down every discovery so that you will have a long list of words that describe you. 3. Start paying more attention to your own feelings and emotions. As often as you can, pause and ask yourself, “What am I feeling right now? And why?” Make an effort to accept what you feel as valid and important. Work on learning to accept, understand, manage and express your feelings. 4. These three steps can be very challenging. 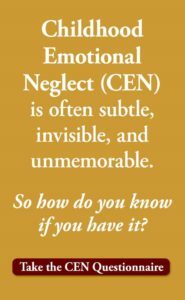 For guidance walking you through the process, and to learn more about the effects of growing up without feeling love, Take the Childhood Emotional Neglect Test. It’s free. 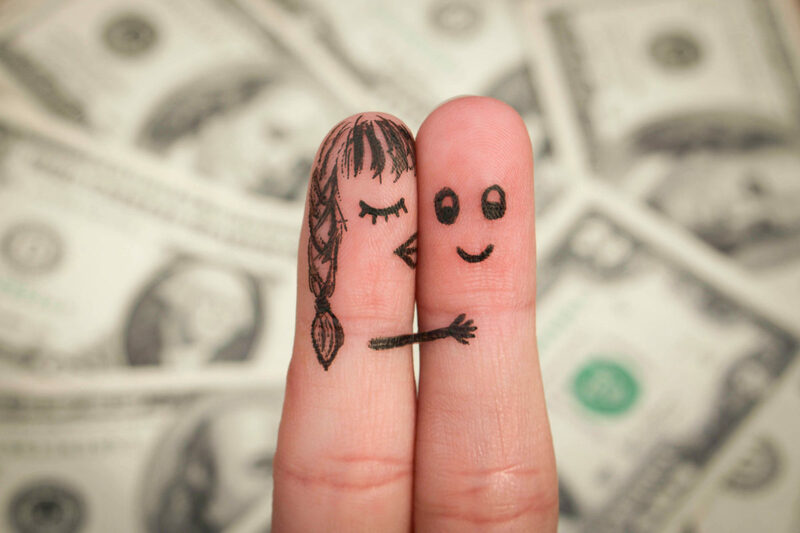 You can spend a lifetime chasing dollars, possessions, or the wrong kind of love. Or you can stop, realize that life is short. And focus on what really matters. to humankind sharing your sensitive awareness! Thank you!!! Please list me & include me in ALL your emails!